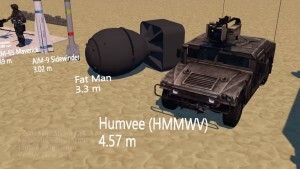 A new video entitled “US Army Size Comparison” from YouTuber MetaBallStudios helps put the size of some of America’s weapons into perspective. 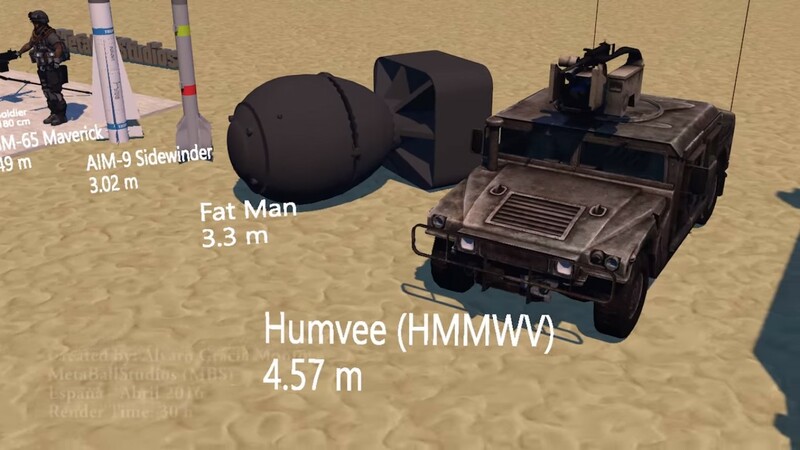 While the video doesn’t cover every single thing the military owns, it does show A LOT of America’s weapons arsenal lined up from smallest to largest. And yes, every weapon depicted is technically an Army weapon, ranging from a 1.25-inch bullet to 1000-plus foot aircraft carriers. Let’s just say the USA boasts an impressive collection of firearms, jets, carriers, choppers, tanks, drones, etc.